It doesn’t have to be that way. Not a single bit. Our approach is based on the idea that managing your books doesn’t need to be stressful at all. In fact, when you work with our team, we make it painless and fun. Hold on? Bookkeeping and fun in the same sentence? The real fun of working with our team is truly understanding your profit, loss and all the good stuff in between, so you can make informed decisions. Armed with that insight you can see where you are growing and how to take your business to the next level. Our special superpower is taking your books – no matter how messy they may seem – and making things super simple for you. You hand your books over to us and don’t give it another thought. You can focus on running your business and we work our bookkeeping magic. Then, we can work together to keep them on track for months and years to come. I personally have more than 10 years experience as a bookkeeper and I am a QuickBooks ProAdvisor, meaning I’m a whiz at QuickBooks Online, QuickBooks Online Payroll, setting up systems and more. Every business is unique, so we strive to offer a customized solution for each of my clients. Our business is built on partnership. We are committed to helping you and your business succeed. Our focus is on making this painless for you. Everything is available to you online and you can be as involved (or removed) as you want to be. 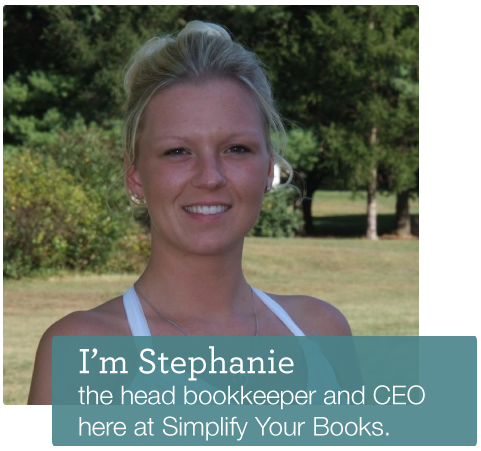 Learn how to simplify your books and get peace of mind.